Edinburgh engineers are to take part in an £11 m research campaign into autonomous vehicles. Researchers will bring their expertise in signal processing and radar imaging to research on sensor technology for assisted and driverless vehicles. The project, led by the University of Birmingham and carried out in collaboration with Heriot-Watt University, forms part of a national research programme to develop fully autonomous cars. Researchers will seek to design a sensory system that can operate in all weather and terrains, without navigation aids. They will aim to use video and low terahertz radar combined to improve the quality of information about the road ahead of the vehicle. This fusion of radar and video technology is expected to be central to the design of a new generation of automotive sensors for assisted and driverless transport. Ten universities across the UK are taking part in five research projects, announced by Secretary of State for Business Sajid Javid. The programme of research is funded by a strategic partnership between Jaguar Land Rover and the Engineering and Physical Sciences Research Council (EPSRC). "We look forward to working with our partners on this new generation of sensory system, and to contributing to the nationwide push to develop autonomous vehicles." 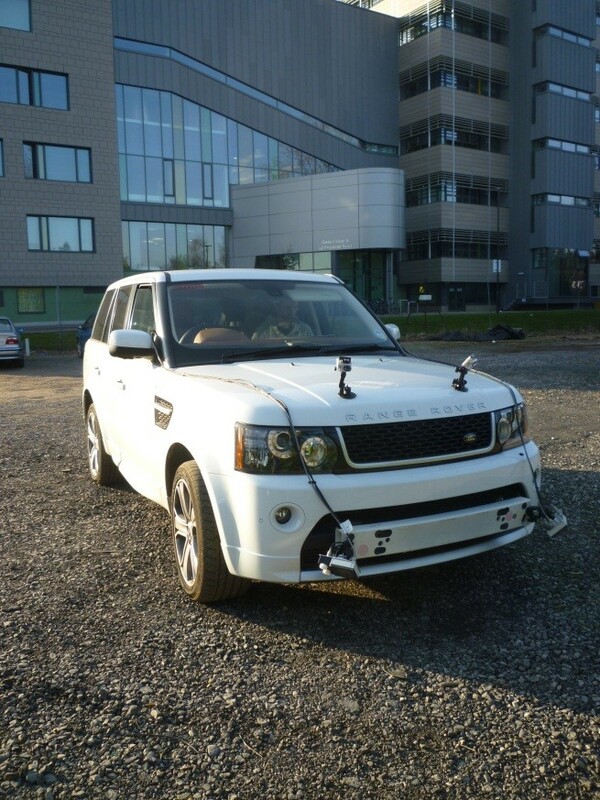 Test car-laboratory of the University of Birmingham with mounted experimental radar and video. Front and rear (insert) sensors' views. 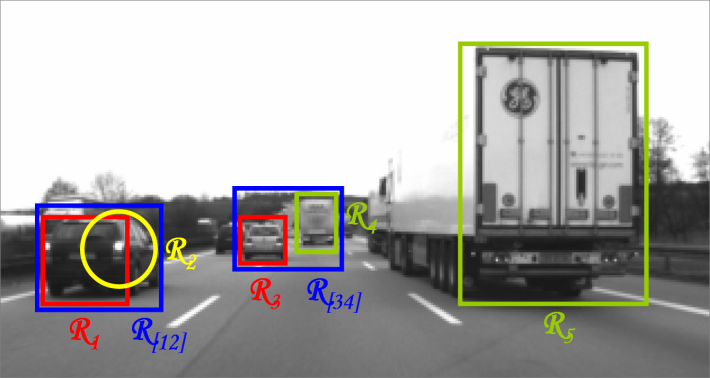 Video cameras are used to find regions of interest, classify users (cars in red boxes and lorries in green), and determine the principal focus (the car highlighted in the yellow circle). Image from Heriot-Watt University.